Batman Black and White in action figure format! Limited Edition San Diego Comic-Con 2015 Exclusive! Special 5-panel window box packaging! Based on the artwork of Jim Lee! Here comes the Caped Crusader in Black and White as a 6-inch action figure! 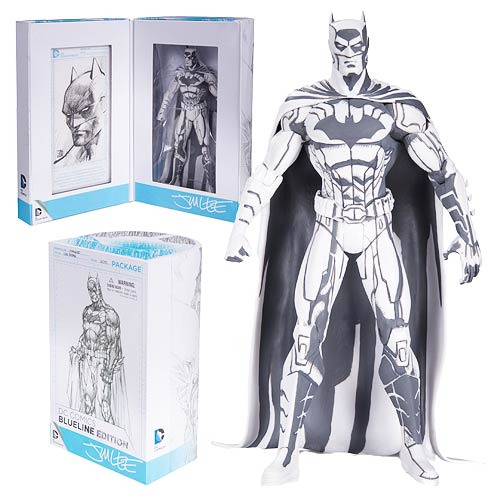 Based on the artwork of renowned artist, Jim Lee, this Batman action figure comes in a special 5-panel window box and special art card. Limited edition 2015 San Diego Comic-Con exclusive! Ages 14 and up.